Drama and intrigue is in the air as the cold winter winds blow with Chiron and Neptune in Pisces as they are exchanging glances with Ceres in Cancer, while Mercury Retrograde is in Sagittarius. The tragedies and the schemes being played out by the aspects in the night sky is being reflected and mirrored within our own conscience. Solar eclipses are extra powerful New Moons, signaling a time of major endings and the first stages of major beginnings. On November 13th 2012 is not only a super moon, indicating its closeness to the earth and at the same time, a partial solar eclipse at 21 Scorpio 56 at 3:09 pm PST is stressing the passion for candidness. Our own sense of right and wrong is demanding us to be honest with ourselves and to have the integrity to step up to the plate when called on. During this period of time the energies of the moon exposes what we think is our dark side, our secret passions, our fears, our inabilities to cope and the trepidation of not accomplishing and completing one’s destiny. Our higher inner voices with the push from the influences of the planets are telling us, to shut up or put up. “The Sabian symbol for the 22nd degree of Scorpio is taken from “The Sabian Symbols in Astrology by Marc Edmund Jones”, and what follows are my comments. Scorpio 22 Hunters starting out for ducks This is a symbol of the sim0licity of self-expression and the straightforward honesty of desire which men tend to exhibit from birth in nearly every realm of normal or everyday activity, and of the average individual’s need for genuine psychological elbow-room in his dealing with world about him. Here is freedom of action willy-nilly, as marked in the frequent determination of the human spirit to have this by one means if not by another. The keyword is enterprise. When positive, the degree is a complete lack of personal frustration and a constant refinement of special and practical skills in the approach to daily problems, and when negative, a callous exploitation of all life. This symbol speaks to us of our agenda, our directness and our ability to get to the point whether it is politically correct or not. It confirms our mission and our strong sense of purpose. At the same time it subtly implies a lack of restriction, a lack of freedom and a lack of compassion. 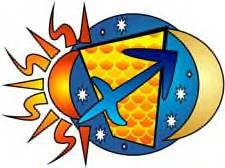 This symbol connects well with the aspects in the night sky as it suggests a need to get to the root of the matter, if we are to have a solution to any problem. It is asking us to go within and candidly review who we are and where we are going. This is the time to clean our minds of clutter, get rid of old hurts and throw out the dark secrets. We need to have more transparency, so we can begin to comprehend where we are really coming from and to where we really are going. With Mercury in retrograde our meditations during this period will surprise us with insights that will amaze us. As the energies of an eclipse is powerful, may we become more aware and more appreciative of it, and may we heed the message it is sending to us with the passion we have within us. As the financial atmosphere still seems a bit shaky and apparently recovery seems further away than most people were hoping for, the need to secure our own future is eminent in all our thoughts. Even those who should have no apparent reason to be worried about their situation are giving second thoughts to their circumstances and are cautious of what the future has in store. All are affected by the lingering cloud of the unknown and the unrest that seems to prevail everywhere, and the ineffective decisions that have so far not been able to turn the financial situation around. More and more people are beginning to see the light that they need to take control of their own destiny in hand, if they are to avoid some of the trials and tribulations that may be in store for all of us. Some of us in anticipating what the future has in store are making decisions to change our course, before we are pushed into it. This was in the message I had received from one who sees the handwriting on the wall, and felt she needed to do something before the wall crumbles in front of her. Realizing she had no other choices she began using astrology to pick the appropriate time in making her decisions to decide when the changes should come about to bring the best results. For the coming year she saw that she had the Sun in the solar return tenth house and began to make her plans. As with all major decisions, no matter how good one is at delineating a chart, doubt comes in and a second opinion is always needed to calm the fears when making a radical decision or change. There have been many times I have sought a second opinion, as I have never felt I could be objective in delineating a chart for myself. I am always hesitant in advising a major change, as I have always felt the individual needed to make that decision from the surrounding circumstances that may appear on the horizon. I do not believe our life is predestined in such a way that we lose the freedom of choice. I believe we can make it better or worst what lies in our path, by the choices we make along the way. Seeing that the decision was already made, I felt better and more comfortable about giving my opinion on the chart. Seeing her chart was exciting for me, as this was the first time I have seen a chart in a pattern similar to my own. Marc Edmond Jones categorizes natal charts into seven zodiacal patterns with certain traits and characteristics. I felt I was among a kindred spirit, especially with both of ourNeptune’s in our natal first, given both of us an open door to all the traits and the characteristics this planet encompasses. I began to wonder if even with our differences, and in the end, the outcomes may turnout to be different, would we experience and anticipate each of the situations in similar ways? With this thought along side the axiom of Morin, that to predict a major event, one needed at least another aspect to prove the indication was feasible. 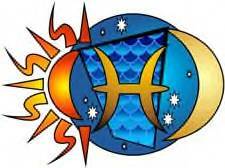 With the Sun in the solar return tenth house, exact on the midheaven and with Uranus and Pluto near the angles, an important and active year is indicated. 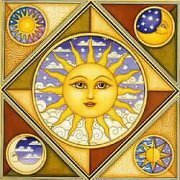 Sun in the tenth indicates the right time for career decisions and changes and the possibilities of becoming self-employed. The solar return Sun square the solar return Uranus which is in opposition to Pluto, indicating an end of one situation and transforming it to something very different, giving new life and new energy to that which once seem ordinary. With a full Moon in the solar return, the individual can expect a lot of hard work and surprises, and at the same time a period of satisfaction, accomplishment and joy. 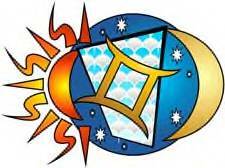 Working with an old traditional timing method called profection, the individual focus for the year is the tenth house with the ruler Mercury located in the solar return tenth, confirming the importance of tenth house matters in the coming year. One of the unfortunate things about the Sun in the tenth, unlike Jupiter or the Moon, if one can call it inopportune, is that everything good or bad that happens to the individual is through their own efforts, and not depended on others or blessings laid in front for their use. The person needs to become aware and attentive of the circumstances, the surrounding influences, and to be able to improvise at a moment’s notice, to take advantage of the benefits in the coming year and to be able to reach the goals it has set for itself. 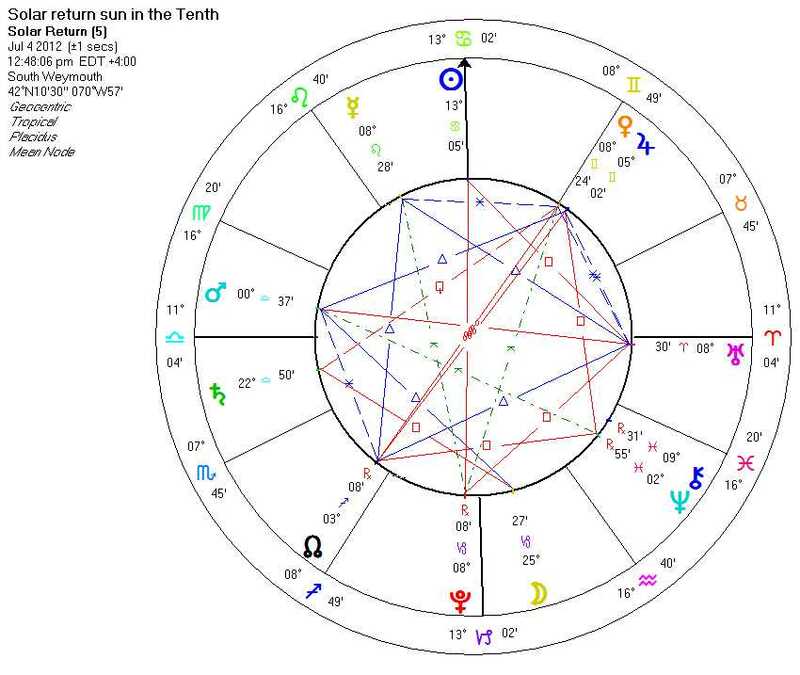 My conclusion to the solar return tenth house Sun is good and beneficial for tenth house matters, but the outcome is depended on the individual’s ability to work with the assets given to him, and the person’s accomplishment and success is well earned. The real importance is not the end result, but how we work with what we have, that will give us the confidence and knowledge to a successful completion of our hopes and dreams where the tenth house is concerned. Quoting from the article the keywords associated with this aspects are as follow: “determined, persistent, single-minded, dogged, unyielding, unrelenting, unwavering, persevering, uncompromising, reacting intensely to events by becoming all the more focused; unable to quit under any circumstances, not fazed by the apparent reality of a situation (not letting apparent reality interfere with one’s purpose); potential for becoming truly obsessive; believing that there is no such thing as a non-negotiable issue; continually to get up and return to the fray no matter how many times one is knocked down; not afraid of controversy. When at its most negative, refusing to be swayed from one’s course by the realties of a situation can lead to self-destructive behavior.” After reading this description, I saw myself within its words, which I always attributed to my ascendant square my Midheaven, with Neptune square the Moon and Mars in the sixth house square the tenth house, as the cause of my affliction. I am now convinced it is because I have an almost exact 165 degree orb between Neptune and Mars. In truth I never considered this affliction as totally bad or totally good. In some instances I felt it was God sent, in that it helped me continue to the finish line of any difficult project I decided on. At other times I thought it was a nuisance, as I could not seem to give up hope on any desire or wish, no matter how impractical it appeared. Even when it seems fruitless, I wanted to wait until the next turn in the road, and even then would not give up my expectation that it would come to pass. This was a light bulb turned on to high, illuminating a new avenue of discoveries. Because it is happening in my own chart and with my own experiences, usually gives me the momentum to look into things, concepts, and ideas with a more open and concerted effort to uncover the truth and the validity of it. Looking at a friend’s chart who was always very deliberate and directed in his philosophy and spiritual life, and that this was his main focus and objective in life, above anything else, appears to others as an obsession and a commandment of truth to proselytize others with. Although he was not doing that, it appeared to others who did not know hi well that this was his main objective. This made me wonder if the aspect was what we experience as individuals, or what others think they see in us because of the aspect working through us in unexpected ways? I was not surprised to find an exact orb of a few seconds from his Sun in Gemini to Jupiter in Scorpio. The keywords to this aspect seem to be more destructive then positive, but I have always had the conviction, nothing is absolutely beneficial or malefic, it is the way we put the attributes to work in our lives that determines the good or bad of it. As I continue to read the article, it appeared that those who achieved something in life either had one or several of these aspects in their chart. I could see where this aspect is needed to achieve anything worthwhile in life, as it keeps us going when hope is diminished and the light at the end is not in sight, until our goal is reached. At the same time it can be an annoyance, in that we continue with something that has no end. For those who have this aspect in their charts, I wonder what your thoughts are on the matter? As we are at the very beginning of the twenty first century and the time seems to be rapidly approaching the next century, we need to realize that nothing is ever going to have its usual or regular cycle that we will have become accustomed to, as that reliability has seem to have flown out of the window. The norm or the customary has lost its allure to the cyber generation, whom are always seeking the new, innovative, and the must have. So the erratic and the unusual will become their common place to hold their interest and attention, which is not surprising and to be expected in this world, which is changing as quickly as the velocity of sound. 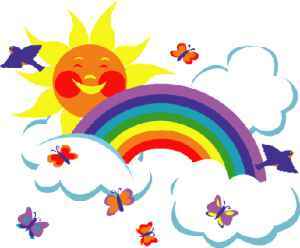 This can be seen with the economical situation which seems to be winding its way up and down in an instant of a moment’s notice and the weather patterns seems to be taking their cue from the financial sector and is reacting without rhyme or reason with surprising and dismaying effects at every turn. With this surrounding atmosphere and within a few days of the approaching summer equinox, the 28 Gemini 41 New Moon at 9:03 am PDT pm June 19th 2012 is expressing to us, to respect and to appreciate our essential good in all of creation. With the essential dignities pointing to and concentrating on Venus conjunct Jupiter and the new moon phase in trine to Saturn and Neptune square Mars, it is asking us to acknowledge and to honor what we hold dear to our hearts. What we consider the highest standards we choose to live by and the philosophy to guide our every step needs to take its position in the spotlight, and become a living testimony to what we really stand for and believe in. We need to break out of our peer pressure and the preoccupation we have for processions, which we think will define us in the twenty first century. To being true to our dreams, wishes and who we really are that have been buried deep within ourselves, which makes life worth living and at the same time fulfilling our purpose and destiny in this life. “The Sabian symbol for the 29th degree of Gemini is taken from “The Sabian Symbols in Astrology by Marc Edmund Jones”, and what follows are my comments. Gemini 29 The first mockingbird in spring This is a symbol of the contribution of aesthetic experience to the strengthening of self at core, given emphasis by the skill in imitation through which any vicarious participation in life is enhanced. Here man’s aspiration becomes articulate far in advance of his self-refinement, and as a result the promise in his given case may be manifest in achievements of which he would be quite incapable in normal course. At the least he is called to attempt a self-revelation which will add real stature to his role in everyday living. The keyword is quickening. When positive, the degree is consistent stimulation to others in all human affairs, and when negative, annoying self-assertiveness. This symbol speaks to us of an awakening of who we are, our ability, and our philosophy which is our foundation, and that which we may find support and help from, when all else fails. It is a wake up call for action and urgency to pay attention to the talents and assets we have let lie dormant for inspiration and motivation of oneself to accomplish what we thought was once, impossible. This symbol empowers each one of us that the creative power is within, and if we work with the laws of the Universe, our wishes will become reality. It also is subtly reminding us not to allow our intuition in this day and age of the internet to lose sight or the use of it and the significance it has in directing our lives in the right direction. So as we experience and meditate on the arrival of the 28 Gemini 43 New Moon on June 19th 2012, may we respect and appreciate all that the Universe has given us. Solar eclipses are like all new moons, which signals endings and beginnings, but unlike the regular phase of the moon they are major influences that are felt in different degrees depending on the astrological aspects and the sensitivity of the individual. For some of us the change and the revitalization are obvious, and for others the transformation is hardly noticeable, but others may sense it inwardly. As one season begins to fade and a new one is about to start, this period’s significant lunation at 00 Gemini 20 with its mystical and magical influences are about to be release on the global atmosphere on May 20th 2012 at 4:48 pm PDT echoing that we need to take action with our visionary imagery and see what possibilities exist. By ignoring or missing the message it may have for us, we will be falling short of fulfilling our wishes, hopes and dreams for the future. This Gemini eclipse conjunct the south nodes trine Neptune and Chiron with close proximity to Jupiter, Mercury, and Ceres, is intimating that past events are effecting, and are needed to be incorporated in turning our present and future decisions into reality we hope for and would like to see happen. The results from our past actions seem to have come back to haunt us. This explains and gives meaning to the words Karma and Dharma in that we need to choose our thoughts, expressions and actions with care and caution as they may return to us as unwelcomed quests. The world of imagination and fantasy has opened its portals during this time period to be available at our fingertips to help us see beyond our normal capabilities into the creative thinking of tomorrow and beyond, to solve some of the obstacles, problems and difficulties facing us today. This threshold if used properly with wisdom may become a window to opportunities. “The Sabian symbol for the 1st degree of Gemini is taken from “The Sabian Symbols in Astrology by Marc Edmund Jones”, and what follows are my comments. Gemini 1 A glass-bottomed boat in still water This is a symbol of man’s alertness to every ramification of experience open to him, and of the necessity that he take definite action his own account if he is to capitalize on any particular opportunity. The emphasis is on an objective inactivity of value to the individual as it becomes a poise through which he is able to regrasp his destiny at each point of advantage, and as it gives him a readiness of touch with the transient stream of everyday affairs. The keyword is curiosity. When positive, the degree is high competence in the estimation of life’s potentialities, and when negative, a lack of effective participation in reality because of continual indecisiveness. This symbol speaks to us of a heightened awareness, that can be attained by our curiosity and sincerity through new ideas in whatever forms or disguises, which are presented to us for our consideration and use. The need to develop our perceptions, emotions, and detachments with objectiveness to any new concepts is essential in seeing and accomplishing new vistas. Our ability to recognize the potentials of any conceptual idea is greatly enhanced by our ability to adapt and improvise in any given situation and to the degree of confidence and trust we have in our higher intuitions, inspirations, and imaginations. We need to remind ourselves of the energy and potential that is directed towards us with this Solar Eclipse in Gemini echoing the significance of our actions and the prospects that may be achievable in our visionary imagery in its connection with the mystical and magical world, bringing into reality new concepts and possibilities in fulfilling our dreams.